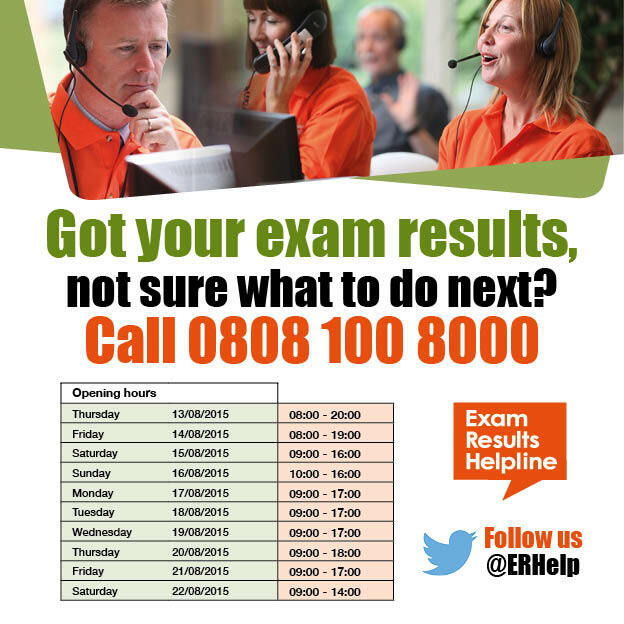 Exam Results Helpline: Welcome to the Exam Results Helpline 2015 blog! We’ll be bringing you all you need to know about what to do between now and getting your exam results and how to prepare for the big day. So keep checking back in on here to see what’s going on and don’t forget to follow us on Twitter (www.twitter.com/ERHelp) and like us on Facebook (https://www.facebook.com/examresultshelpline).